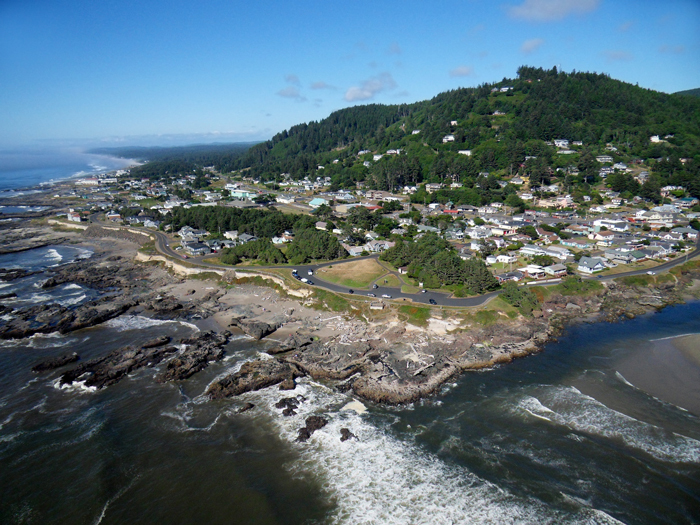 Yachats, Oregon — Image by Sky-View Photography This is where I live: A small town called Yachats (pronounced yah-hots) on the central Oregon Coast. There are 650 full-time residents, no stoplights, a sprinkling of shops and cafes, and a post office that serves as the central source of news and gossip. There is also lots of rain (about 72 inches per year) and some days I am not thankful. On Monday, I was damp-to-the-bone when an early winter storm gave us whipping winds and two inches of rain in a single day. On Tuesday, the sun dazzled bright and my every complaint was made small and faint. On Wednesday, a thick fog wrapped everything in matte gray. On this Thankful Thursday, I am grateful to live on the edge of earth, in the midst of change.